On Thursday, November 14th, Google Inc. won a major court battle regarding its Google Books project. The federal district court in New York City ruled the Google Book project falls under the protection of fair use. Google, through collaborations with research libraries across the country, has digitized over twenty million books, making large portions of the books electronically and freely accessible. U.S.D.C. Southern District of New York Judge Denny Chin’s decision is available from this case here. The American Library Association lauds the decision here. And the reaction of the Authors Guild can be found here. Cheryl Beise of Wolters Kluwer’s Intellectual Property Law Daily (November 14, 2013) examines the four fair use factors of the decision here. Included among those twenty million digitized titles, of course, are books with legal subjects: rare and ancient legal treatises, aged legislative materials, and superseded volumes are all available. Obscure titles covering differing technical subjects can be found as well, making, for example, a full-text search for an expert’s publications possible. Clearly, this will benefit law librarians, though accessibility of older, obscure legal materials have been available via commercial vendors for quite some time, and in a more organized manner. LLMC-Digital (Law Library Microform Consortium) began its conversion from fiche-based materials to digital back in 2003. They now offer, in a categorically-organized fashion, a wealth of ancient federal and state-level legislative, executive and judicial materials. HeinOnline, too, begin its digitization efforts in the late 1990s, when the internet was in its infancy; HeinOnline now boasts libraries of various categorical content sets including a wealth of federal legislative materials as well as a robust collection of law journals. The greatest difference between Google Books and similar commercial vendors concerns organization of content. Google Books’ content set, again, contains 20 million books, the organization of this material is clearly a problem. The commercial vendors are dealing with content sets that are smaller, more manageable, and contain like materials; they are able to organize through various classification systems; by state, by type (executive, legislative, judicial), by category, by date, etc. The user can search among smaller, categorically-defined content sets; the user can explore content via categorical browsing. Google Books has available categories on its landing page, but given the massive scope of its content set, the subjects have to remain very general; Google Books is essentially only navigable by full-text searching, which introduces a host of user-query-construction problems. Google’s approach to index and not catalog the internet proved to be correct, but Google Book’s sea of print materials may need a more commercial-vendor-honed organizational approach. Now that the legality of Google Books has been upheld, hopefully instituting clearer methods of organizing their vast content set will become prioritized. CNN Money is reporting that fresh off its vindication for antitrust violations, Google is already looking ahead to how it can leverage its newfound clout. “Search 2.0” is what they are calling it and the goal is to bring users even more precision. The “direct answer” remains as elusive and an almost as mythological as the Holy Grail itself. Is it possible? The folks at Google seem to think so. And, it so, what does it mean for those of us who make a career out of sifting haystacks to find needles? We have been talking a lot lately in my workplace about the ability of computerized searches to deliver exactly what the enduser wants. There always seems to be this notion that a search engine can be somehow configured to meet the minds and intentions of its users. Yet for all of our Boolean logic, terms and connections, filters, and word wheels, we seem to always fall short. It is frustrating to some and frightening to others. If computers could simpy, efficiently, and precisely answer a user’s questions, what need would there be for librarians and information professionals? My experience has taught me two things. First and foremost, there will never be a true meeting of the minds between man and machine. Even the best engines and algorithms will only be as good as the people who program them. Centuries of research experience should make it quite clear that even people have a hard time knowing exactly what other people want. How will our cyber-creations do this if we cannot prepare them for it? And second, serendipty cannot be recreated in a database, search string, or cloud. It is when two minds meet and there is a back and forth of expectations, possibilities, and processes that most thorough answers are found. Let’s face it, most of the time even the asker is not sure of exactly for what she or he is looking! We can’t explain our needs to one another, let alone expect to be able to explain them to computers. The intellectual wrestling match that follows a request is as vital to the success of the research process as the answer itself. Bring it on, Google. We are ready to talk. 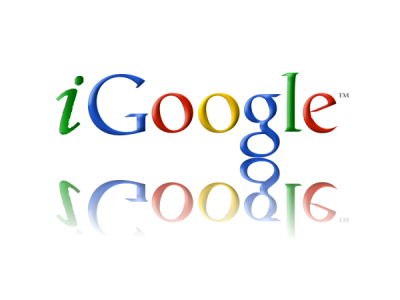 iGoogle is Going Bye-Bye & We’re Bummed! How is it that we only today noticed the little alert on our beloved iGoogle page saying that the service was going away? It was shock. Then horror. Then sadness. With all of the flops Google has released in recent memory (Wave, Buzz, Plus . . . ), the personalized homepage feature that is iGoogle was by far one of our favorites. It was so nice to go to one place to get an overview of our e-mail, calendar, news feeds, and a whole host of fun and informative widgets (Confucius Quotes anyone?). NOW WHAT WILL WE DO? If you are an iGoogle user, you have until next November (yes, 2013) to wean yourself off of it. The mobile version will be gone sooner. You can read the announcement here. We haven’t felt this vulnerable since our AOL homepages were taken away. There is no joy in iBraryGuyville tonight. Google announces Knowledge Graph change to search. Google today announced the latest enhancement to its industry-leading search – a new feature designed to help users find the right information faster and with less fuss. Enter the “Knowledge Graph”. More than a mere update to the seach interface, it is a radical and interesting change to the way Google will deliver your results. The easiest way to explain what Knowledge Graph does is through a simple example. Let’s say you wanted to search for information on the baseball team, “The Rockies”. You may have baseball on your mind, but Google is no mind reader (or at least not yet). In the current iteration of its search engine, simply searching for “The Rockies” will return a standard results list containing links to sites on the team, the mountain range, and several related institutions such as schools. It’s a great results list, but you still have to do the legwork to get to just the stuff on the team. Sure you could enter more terms, like “baseball”, to focus your search. But wouldn’t it be sweet if Google actually knew the difference? Thanks to the Knowledge Graph, it will! When the new Knowledge Graph rolls out (and the roll-out has started! ), Google will return those results in a compartmentalized fashion. The results related to the baseball team will be kept together. So will those regarding the mountains. By choosing that grouping, you will limit the search to just the set you want. Pretty cool! My example was a simple one. In its news release, Google used an even better one. Their demonstration uses the term “Taj Mahal” and then asks whether you meant the landmark in India, the singer, or evern the Indian restaurant down the street. Pretty profound differences, no? It’s an innovative approach to results delivery. Stay tuned . . . you will soon be seeing the Knowledge Graph on a screen near you. It began rolling out in the USA today! The social relevance of search results took on new importance today as Google announced a fresg revamp of its social search features. To quote the company’s Project Management Director Mike Cassidy on Google’s blog, “[R]elevance isn’t just about pages—it’s also about relationships.” Google is leveraging those relationships by bringing an even greater social emphasis to its search results. 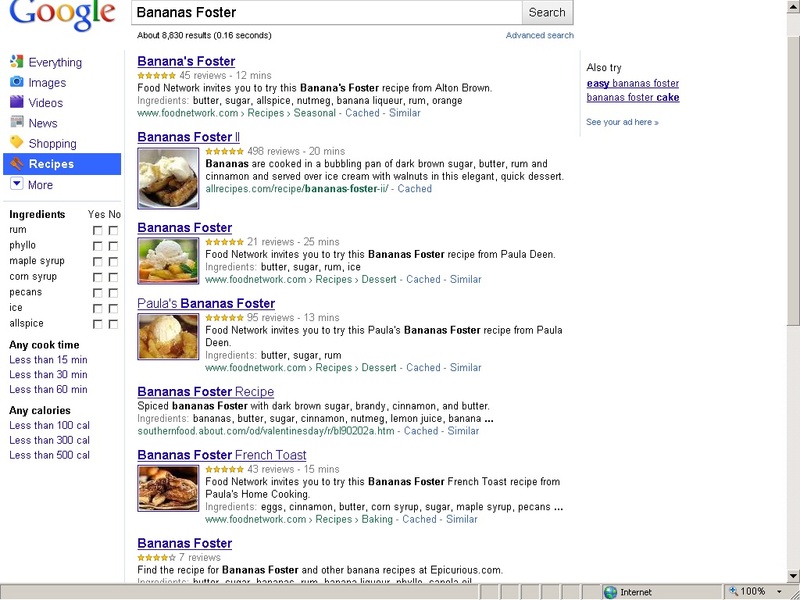 Google rolled out its social search functionality back in 2009. Since then, there have been some small changes here and there. Today’s announced overhaul, however, is a major step in a bold direction. Starting today, users will get more information from the people that matter to them, whether that info is being published onYouTube, Flickr or even their own blogs and sites. How will this manifest in the search results? Well, social search results will now be mixed right into the results list based on their relevance. Annotations will tell you which of your friends posted the information and where. Previously, social search results only appeared at the bottom of the screen. Now, they will take their rightful places on the most valuable real estate on the screen. 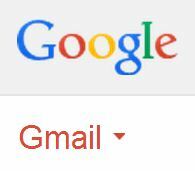 Of course, you have to be logged into Google to see this functionality in action. However, it is worth the extra step. In fact, even links that your friends may feature publicly on sites like Twitter are rolled into the mix and annotated to show you the social connection between you and the poster. To facilitate this, Google s making it easier and even more secure to connect your social network accounts. In the past, you had to create a Google Profile and link your other accounts to it. Starting today, you can privately connect those accounts directly to your Google account itself. The new functionality really looks innovative and promising. Talk about leveraging the knowledge of the people you know and trust most! A helpful introductory video is available. The new social search is rolling out in the days ahead. Keep an eye out for it!